Gorgeous home tucked back on a beautiful tree'd lot!! This horse property is located on almost 5 acres and has a wonderful 3 stall barn! Home includes a main floor master suite, 2 fireplaces, a lovely sunroom, solar panels, newer windows, oversized 3 car garage and a finished basement with a complete mother-in-law apartment! Home also has 2 laundry hookups - one on main level and one in basement! 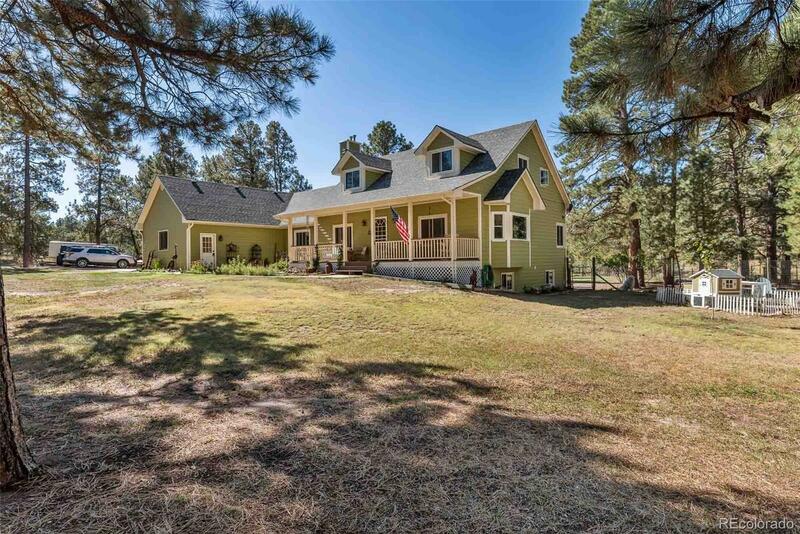 This property has a great country feel, but is very close to all the Front Range amenities! Only 10 minutes from Elizabeth, 25 minutes to Parker (16 miles), 33 minutes to Castle Rock (23 miles), 55 minutes to DIA (43 miles), and 38 minutes to DTC (28 miles). A must see! !